We are all passionate in one way or another. This week's list will be about various passions in our hobbies. However, we can, of course, bring up other passions and different thoughts. If you're a lurker or have otherwise discovered GCL Eclipse, feel free to read along with us. And if you have a constructive comment or something else you think would add to the discussion, consider posting it—if it's helpful, respectful, and polite to the discussion group as a whole, as well as to its individual members. However, if you'd like to join in regular discussion, first post to the current discussion list inquiring about the possibility of becoming a member, with full discussion privileges. If you are interested in becoming a regularly-contributing member, please contact Jason Lott (DancerInDC) to inquire. Thank you for respecting these guidelines in our place of regular discussion. We hope the discussion we create here is rich, informative, and, most of all, fun for members and nonmembers alike. We are all drawn to this website. For most of us, it has become a group of friends, a community. What brought you this site initially? Was it a game? Was it a rulebook you were looking for? How long ago did you first step into this site? Please, tell us about some games that you are passionate about. These may or may not be part of your top 10 (probably are), but tell us why that game, in your view, is one of the best and why others should play it. We have all heard it from Joe: "Expansions are evil." Are they? Do you like them? Do you buy them all for your favorite games or do you evaluate them first then buy? This came up a bit in our last list. Do you watch sports? If so, what? What is your favorite team/sport? Would you rather watch sports than play a boardgame? Who is your favorite boardgame designer? Why? How do you buy your games? Do you play first, then buy? Buy on impulse? Buy after hearing what the 'geek says? What hobby/interests outside of boardgaming are you passionate about? I only played games half of the days, due to various enjoyable family activities, but still got in a fair number of plays. Quacksalbe - I recently picked up another copy of this for work. It's a really fun, silly game, with take-that elements in a way that actually works for me. Novo Dice - A published game that's never been available for sale; apparently, it's a reward for big sellers of home entertainment equipment (pool tables and the like) in Germany. But - it's a fun little game. Which is an incredible accomplishment, given that it's based upon slot machines, which are no fun at all. Rocketville - A game I seem to enjoy more than 95% of the world. This was my 10th play of the game - not a bad milestone. Spyrium - Two more plays; holding up well. 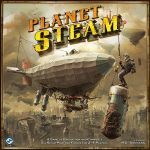 Planet Steam - I'm continuing to enjoy the new edition, and it's continuing to help get it to the table more often. Brügge - After playing it four times, I decided that I actually enjoy it enough to pick up a copy. That doesn't happen often, but it does on occasion; King of Tokyo was the last such game. It's up to an 8 rating for me, but unlikely to move higher; still, that's better than I thought it would manage on first play. 1846: The Race for the Midwest - believe it or not, my first play in two months. I particularly enjoyed starting C&O as my first railroad, and making the Big 4 an effective private. The Union Forever! - I've particularly enjoyed Morgan's A'Comin'!, so another Civil War postcard game from the same designer was of interest. I managed to get in on an Against the Odds order, so that I could get a copy with die-cut counters. I also received an English copy of Targi; I'll be swapping out the components soon. Lords of Waterdeep -- finally brought this out with my wife. She liked it, but not as much as I hoped. I still like this one, but I will admit it waned a bit with this last play. I still think it is a great introductory worker-placment game, but I am not sure about its staying power any longer. Baltimore & Ohio -- with The Once and Future gamers. Still a good game. 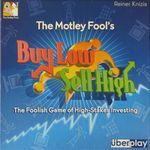 I went with an investment-only strategy, and it went fairly well, but I stuck to it too hard, and it cost me. I should have opened a railroad in the latter half of the game. Kings of Air and Steam -- again, with the wife. This is OK. Not great, not terrible, and has too many rules. Pandemic with Pandemic: In the Lab -- interesting new features are brought to the table, and they aren't bad. It does however removed the simplicity and elegance that I find in Pandemic to be refreshing. I still don't think I will be getting this expansion (mainly due to having to replace my perfectly good copy). Trains -- an OK Dominion derivative. Glad I tried it. Don't need to own it or play again. Forbidden Desert -- Much better than Forbidden Island and I want to play again. So far I like it a lot. The Pillars of the Earth: Builders Duel -- missed that this was the German edition with paste-ups. It will work, but I would have preferred the English edition. It is not a Math Trade unless I overlook something (partly due to OWLG). It doesn't look like it, but I have reduced at least the footprint a bit of my collection, and I have traded this year more than any. The last math trade I managed to get 8 games traded. Of course, like all Math Trades, I didn't receive any of my "really want" games, but I got some games I did want. Three of the plays were against the coworker that I'm trying to convert - he still hasn't won, but he was really close once, and it was mostly bad luck of the draw (aka shuffling) that made him lose the last one. I should pre-shuffle the decks I give him; handing them over sorted from deckbuilding isn't fair, I didn't realize that. I've got too much of an advantage for a fair game because I know exactly what's in the deck anyway. Looking forward to more games against him. The other two plays were against my regular opponent, where the playing field is much more level. I won one of the two, but only with luck because I scored two agendas with an early run on R&D with Maker's Eye. This was with another coworker, hosted by a friend of mine who happens to work at my FLGS, and with a friend of his. The Imperials split up too much early on and their Firespray went down rather quickly because we concentrated fire and flew in a tight formation. Things got really messy when the big swarm of TIEs joined the fray, but they came too late to defend the Firespray. Lots of fun for everyone though, and ... X-Wing looks sooooo awesome. I didn't have my camera with me on that day, for the silly reason of already carrying three big boxes with X-Wing stuff; I should have made space for images anyway. Battlestar Galactica: The Board Game – Daybreak Expansion, which really makes me excited about BSG again. But I've only played it, like, two or three times total ... and never with Battlestar Galactica: The Board Game – Exodus Expansion, which I also got shortly after its release, and where I love the Cyloon Fleet Board because it fixes exactly what bothered me about the game when I played it. So, yes, I really want to get this to the table soon. That's it already. I'm really happy that I found somebody I can play Netrunner at work with though. Limited time in the evenings and all. Planet Steam x1 - Now THIS is my type of game. Not only are you building an economic engine but there's nearly perfect information and the players control the market. 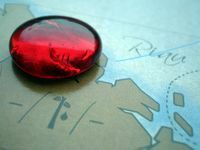 Turn order is the most crucial aspect of the game, and those not mindful enough, or distracted by a role they wanted but overlooked where it put them in order, will soon regret the decision. The only aspect of the game I wasn't thrilled with was the die rolling, though early in the game it's not all that bad; later in the game is where it was less interesting. There's a variant that suggests doing away with it, and I think that will do nicely for our next play. Suburbia x2 - Our group has taken to this every bit as much as I thought they would, especially given our love for Peloponnes. I hate to keep drawing that parallel, but I cannot think of another game that so closely compares. Trains x2 - It's a deckbuilder, it's a route builder, we like it a lot. Guildhall x1 - I really have to say: This game is a complete train wreck. It attempts to be a tableau builder with sometimes competing and other times interlocking card abilities. The problem with the game is that because you are collecting sets, very similarly to Rummy, and you cannot play an action of a suit you posses in your tableau, the game begins to lock itself down. Of course, you eventually score the set, but since each action depends on how many copies you have in your display, you've now neutered it's ability. The game constantly plays in a counterintuitive manner, and it's not very fun. Early on the game drags and nothing is happening, then late game things come together at a breakneck pace. Our game saw the leader waiting for four turns to win as he neither could draw, steal, etc, a card he needed to achieve victory. Everyone else caught up and then also found themselves in the same dilemma. No real clever play, or decisions, and of course there was also SO little fun. Kings of Air and Steam x1 - If you looked at this game it seems pleasant enough. Up close, beyond the beautiful airships, is some decidedly mediocre art. The game play is also VERY mediocre. In a way it reminds me of Catan Histories: Settlers of America – Trails to Rails; you set up your buildings on the board, then do some pick up and deliver for points. The process is barely interesting, repetitive, and there are some nonsensically random elements. We played with the advanced rules, which have the replacement cities chosen at RANDOM. Why the heck would you do that? I can understand their introduction being random, but to reduce the planning in an advanced mode is just bonkers to me. Of course, this randomness is now dual as when the cities hit the market board they increase the prices of goods, and god knows where you'll be on the board. Now, I'm used to the market in Age of Steam, so I can at least absorb that latter bit. I've heard mention that the roles don't seem balanced, but for me, I felt they were. Each was interesting and I actually had a hard time deciding what side of my character to use. My wife liked it quite a bit more than me. I think I might be interested in one more play with the larger number of players that this can support, though I'm scared to think of what the play time would be. The Lord of the Rings: The Card Game x1 - Retaking Osgilliath was never so fun. The game is getting to the point where these harder adventures are really testing my deck building meddle, and I LOVE it. Close victory that came from a combo between decks and exploiting a weakness of an adventure deck card. Airlines Europe x1 I'm always finding myself torn between the inexperienced players "giving" a game away of Union Pacific and the luck, or not, of Airlines Europe. I actually find EU a slightly better design in most respects but a single player, through no one else drawing (or seeing) is major airline stock, ran away with a 25 point lead over 2nd place. Shame, because otherwise it was a tense, fun, game. 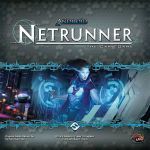 Android: Netrunner x2 - My regular partner finally had time in his busy work schedule again and we didn't waste the chance. We'll be attending the Plugged In Tour for Netrunner, so it was time to play, discuss strategy, tweak and build. I've got two serious decks I've stuck with for a while now and just when I thought I had no new ideas some time off, not to mention a new set or two, changes everything. I liked Dominion for a while. I bought several expansions. We played them some. But after a while I realized I hadn't played in over a year and that I didn't care to. I sold it all. Trains brings some of the interesting choices of Dominion (in terms of building the deck) and adds the spatial element of the board. The theme makes more sense to me. But most importantly, there are more ways to score points, and more ways to influence the game tempo and endgame conditions. I think Trains may be the new darling for a while locally. My wife really likes it. Its a game that I expect will maintain broad appeal. I'm leery of the inevitable expansions, but I look forward to playing this one more. I replaced the wooden cubes (tokens of affection) with little plastic red hearts. Now the game rates a point higher. This is a clever and quick little game. My wife loves it. I think its because she imagines that somehow I'll write a love letter to her if we play it enough times. She might be right. I was alarmed and dismayed that a local player had no idea what I was referencing when I mentioned that Medina was neither funky nor cold. But the game was more fun than I remembered. Yeah, its dry...but so is Through the Desert. They have some common elements. My wife didn't care for this one (nor did one other player). I can understand that. There aren't really any giant surprises as you play this one, but the game does reward creativity. I think if the production values weren't so high, with the lovely wooden pieces, it would probably be a forgettable game. But its not. I think I'm done with this one for a while again. The online tourney was fun, but I don't think I qualified for the next round. A fun end to a great night of gaming. I didn't think this was all that great after the first playing. The theme really grabs me, and I want to like it. I'm puzzled that this is a Martin Wallace design. He DOES do some interesting things with 'time' in a game about time travelers. But ultimately, it feels like the game is underdeveloped and not exactly broken, but I don't think it works the way it was meant to. Another run at this one. I don't put Duck Dealer at the highest rung of Splotter games (like Great Zimbabwe, Antiquity and Indonesia) but its good enough to own a copy of. I will probably pull this out from time to time. I think the criticisms of its weaknesses have exaggerated them. Our group really enjoyed it. Another favorite of the past year or so. We played 3p with my wife. I'm not certain, but I don't think I've ever won this game. Well...I was running away with the points lead by a large margin. The deck was getting thin. And then my wife did a sneaky combo where she was able to get the patron she needed to fulfill her win conditions. I felt robbed! Great game. This one made a strong positive first impression on me. I was glad to play it again...but my enthusiasm is fading. Maybe it was just that we had a runaway winner, but it felt like the second half the of the game lacked any real tension. I like the idea of this game, but I question how well it will hold up to repeat plays. I'd only played this once. I forget why I don't play it more often...its awesome. The mergers auctions are the meat of the game, and I just don't get my head around how to make that lever work to my advantage yet. I look forward to playing this one again soon (while I still have the rules down cold). This one never disappoints. I doubt I'll ever get into Tichu, but this game has enough common elements that I can at least appreciate why someone would do that. I really like Betrayal at House on the Hill, but I admit that only about half the time do the randomly generated haunts turn out a tense and exciting endgame. But this game blew that away. I'm looking forward to playing this more. Although you can play scenarios multiple times, I like the idea of using each one only one time. I have a lot of plays to get through before I need to review any, and the expansions are pretty cheap even if you only play them one time. (I compare it to the cost of renting a movie.) I think we'll play this soon with a local group. Hope to get a few plays in over the next couple months. This was a debacle! (In a good way). 5 players, 4 new to the game. The rules explanation left me confused (and I don't think I was alone). There was a lot of friendly arguing going on between me and a game buddy. He was pouting about a rules misunderstanding that nullified his early game strategy even as he went on to virtually lap the rest of us on the final scoring. I'd like to try this one again. I was expected a rondel game, and at first thought there wasn't really a rondel. But now I kind of see the map on the board as a multidimensional rondel. Your movement is somewhat limited, but much more liberal than the rotation of the rondel. Anyway, it feels unique and has a clever theme. I'm not convinced there are multiple paths to victory as much as there seems to be at first blush. A nice 5p affair with the deluxe version. Puerto Rico can be a little fragile if a weak player throws the game to someone. I think its possible I was the weak player out of this group. It was really fun to revisit this one with 5p. The boat was strategically placed between an oscillating fan and the path for the air vent (not on purpose). This added a large amount of consternation and fun. I find this to be maybe Zoch's most brilliant design. I'd had in mind to play this with 4p, primarily to introduce it to Kevin's wife (who is not so much a boardgamer, but I suspected would like this type of game). Well, we ended up with a much larger interested group, which was fine (and worked better than I'd have guessed). Unfortunately, it was difficult to find a quiet place to be able to play...and I think all of us were struggling for the first half. Eventually, things quieted down, but then most of us were ready for bed. The good news is that the mystery was gripping, and required some careful thought to have a breakthrough from the clues. We ended up getting the right suspect for the right reasons, but I nearly blew it with a premature false accusation. We chose to play it for a team score (rather than each person having their own crack at it). I'd been interested in this from the Star Trek license. I guess I assumed it was more of a divergence from the base Catan game, but it isn't. 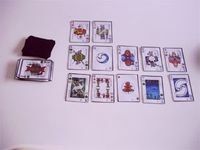 There are character cards that give you a special ability, which you cycle through during the game. Otherwise, its the same Catan. The production values were kind of surprisingly mediocre. It was difficult to read the small print on the cards. But the table of players was fun to play with and I really enjoyed myself. However I probably won't go out of my way to play this one again. This was an annual tradition. As always, fun. I suspect the player who won (by a large margin) was playing by a different set of rules. I've played all the Gipf series, but this was my first playing of Tzaar. I was impressed. The rules are simple, but the decisions become tricky. There are several ways to win, or to go about executing a strategy (I should say). In this particular playing, I made a dumb mistake to hand the game to my opponent (who I think was winning anyway). I look forward to more plays, but not sure when I'll get the chance to play this much. My wife and I aren't really well suited as 2p abstract opponents. Grad school is taking it's toll. I expect it will be awhile before I hit a good balance between school, work, and play. I did get a playtest of one of my Decktet games in. It went well and we all enjoyed ourselves. It needs a couple tweaks though. I performed particularly bad missing both my bids and taking too many tricks on other hands. After 6 hands I had 1 point only, very poor showing!